She was the lead heroine opposite Kamal Hassan. This was one of her most powerful performances. She played the role of a girl suffering from Amnesia. It was a tender story and Sridevi’s regression to childhood was so unrealistic that it took just a second to fall in love with her. The film is a 1994 thriller movie, directed by Ram Gopal Varma. The movie was declared a box office hit. Sridevi starred with Akkineni Nagarjuna who played the role of a protagonist. The story revolves around Sridevi and Nagarjuna who get tangled in the underworld nexus. The movie narrates the story of an actress who is controlled by her producer and doesn’t even let her get married. She seeks help from a lawyer who helps her get rid of the producer. The role of lawyer was played by Superstar Rajinikanth. 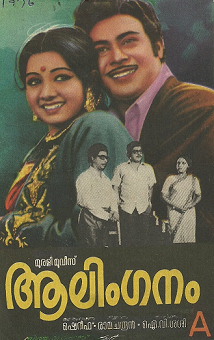 It is a 1976 movie directed by IV Sasi. Actors Vincent and Raghavan acted alongside Sridevi in the movie. She played the lead role in more than ten super-hit films of the late director IV Sasi and became a big star in Tamil Nadu. The female superstar has definitely left an evergreen footprint behind which is unmatchable and will remain in our fond memories! I am a Tamilian and two of most favorite pairs onscreen ever is Sridevi and Kamal Haasan and then Sridevi and Rajnikanth. And the three of them starred together in two movies with Kamal and Sri as the protagonists and Rajni was the antagonist in both those movies. Those movies were such intense, performance driven stories with mind games kind of script and was just wow. Can watch those any number of times. Will never get bored ever.